Harmony at Home are a specialist nanny and childcare agency with many years of experience providing professional nannies for families. 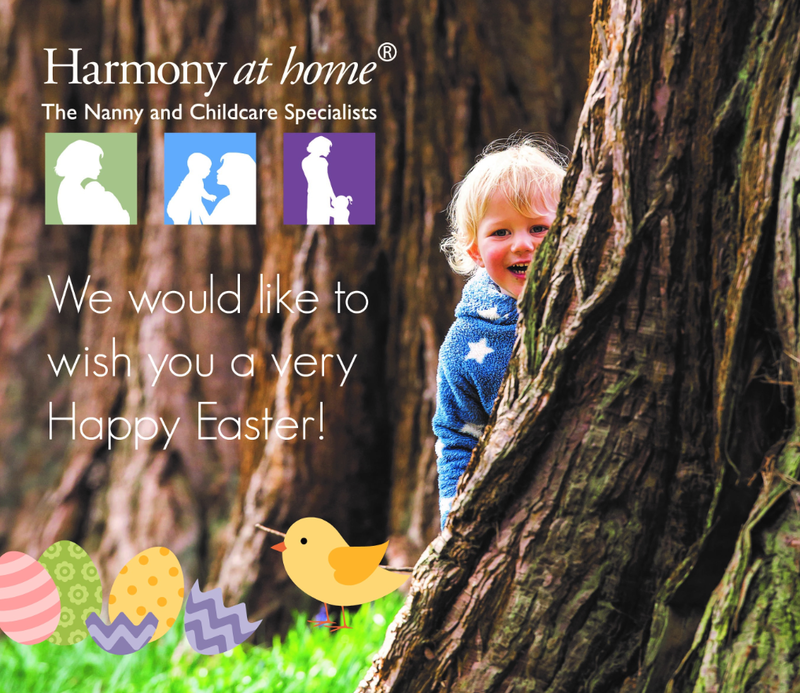 The Harmony at Home blog features a variety of articles on a great range of childcare related topics, including guides and tips for nannies and maternity nurses, as well as childcare news. The blog is an excellent resource for keeping up with the latest news, events and guidelines on childcare. 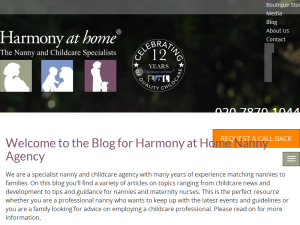 This what your Harmony at Home - Nanny Agency Blog Blog Ad will look like to visitors! Of course you will want to use keywords and ad targeting to get the most out of your ad campaign! So purchase an ad space today before there all gone! The post Easter Holiday Activities 2019 appeared first on Harmony at Home. The post Nannies and Families Celebrate World Book Day appeared first on Harmony at Home. The post Our top wooden toy gifts for Christmas 2018 appeared first on Harmony at Home. With the online world becoming a prominent part of children’s lives today and the age of children using the internet is getting younger. Popular games on the internet are resulting in children becoming vulnerable when at home. 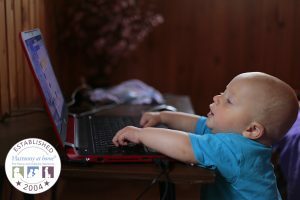 Because of this, Harmony at Home have created this quick guide to keeping children safe online, as it is very important that both parents and nannies are aware of the possible internet misuse. Communication between players when gaming: players can chat to each other via microphones, headsets and messaging. Children can talk to peers from school but can also talk to strangers. Although speaking over the internet can be innocent, it can lead to cyberbullying or sexual misuse by strangers. In-app purchasing: children can easily purchase different products and game upgrades, such as ‘skins’, without realising they are spending money. Leading to large bills on parents’ accounts. Parents are no longer in control of their finances as innocent gaming can lead to large payments. Addictive nature of the game: arguably children are staying up all night to play their game and falling asleep in lessons. It has been argued that long sessions of game play is due to games evolving and being able to play with friends. Resulting in children becoming addicted to the continually new elements of their favourite games. When should you report internet misuse? If you’re worried that your child is being groomed online or sexually exploited, you should report your concerns to CEOP. It is not necessarily easy to spot the signs of your child being groomed/sexually exploited. Therefore if you have any concerns you should call 999 or contact CEOP as soon as possible. The current popular online game is Fortnite, the game gives you the option to play singular or as a duo. The aim of the game is to be the last person (or duo) standing in a post-apocalyptic world. Fortnite: Battle Royale, sees up to 100 players pitted against each other to stay alive on an island. Players can build and demolish structures, and collect weapons, supplies and armour to help them along the way. Players shoot each other using a range of lethal weapons, but the brightly-coloured, cartoon-style graphics and lack of bloodshed mean it doesn’t feel too gory or graphic. Roblox is a popular online game, with players as young as 5 year olds. There are over 15 million games created by users, individuals can learn and play with their friends in a family-friendly, immersive, 3D environment. Roblox can be accessed on different devices, resulting in children being able to play with anyone wherever they are. Although family-friendly, there is always a chance that strangers can connect with younger children on these different devices. Parental controls on the gaming device: most devices have options to set time limits on game play, set age limits for content and also restrict those in-app purchases. The battles in Fortnite roughly late 20 minutes. Having this idea on how long a game lasts means you can set time limits for matches rather than a set number of hours. Resulting in your children not fixating on how long they can play. Turn off the voice chat feature: Speak to your child to make sure they know this feature exists and encourage them to use the options below if they encounter someone who is offensive or inappropriate. You can also use the ‘support’ section of the Epic Games site (the makers of Fortnite). You’re asked to select the platform you play the game on, the game mode you’re playing, and then you can select ‘report player’. You can provide more detail such as the player’s name and attach a screenshot. The post Nannies & Parents keep your children safe on the Internet! appeared first on Harmony at Home. Nannies must follow child safeguarding guidelines, as it is important to ensure that all children are safe and protected correctly. Safeguarding guidelines are important among organisations, such as schools. However, it is just as important for nannies to understand the importance of safeguarding. Therefore, please help spread the word throughout November, to ensure that all children are protected and treated fairly throughout the UK. 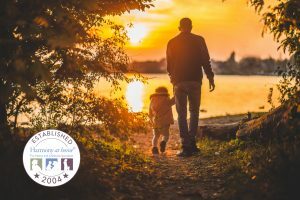 As well as this, nannies that are aware of the safeguarding guidelines can enhance child protection among individuals that have been identified as suffering from harm or preventing individuals suffering from harm. Become Level 2 qualified and Harmony at Home accredited by completing our Child Protection training. The post November is Safeguarding Month appeared first on Harmony at Home. 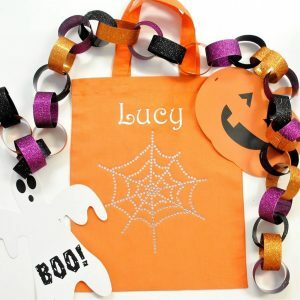 The post Halloween must haves! appeared first on Harmony at Home. 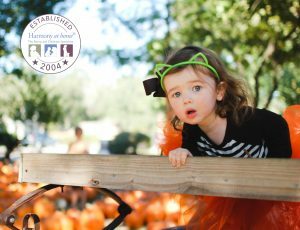 If you are the owner of Harmony at Home - Nanny Agency Blog, or someone who enjoys this blog why not upgrade it to a Featured Listing or Permanent Listing?